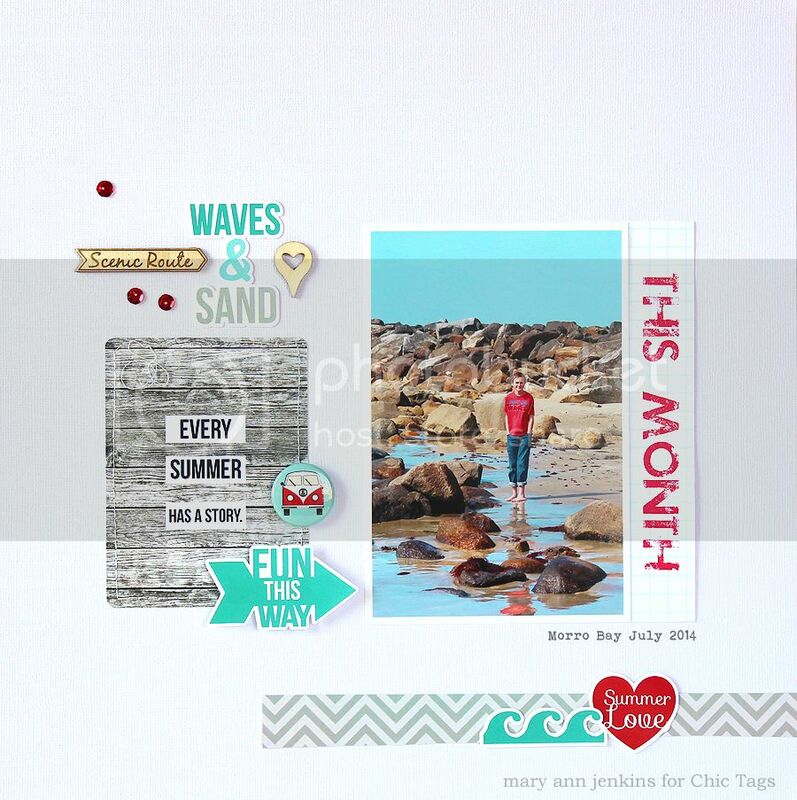 I have a layout up on the Chic Tags blog today using the new "Summer Love" collection and a photo from our recent vacation get-away. Now before you think that I'm all caught up with my scrapbooking, let me set the record straight that I'm not caught up, and probably never will be. I loved this photo of my son though, so it just had to be scrapped. I really, really like all the piece in "Summer Love", but my favorite has to be that van flair button! Isn't that the cutest thing ever!! 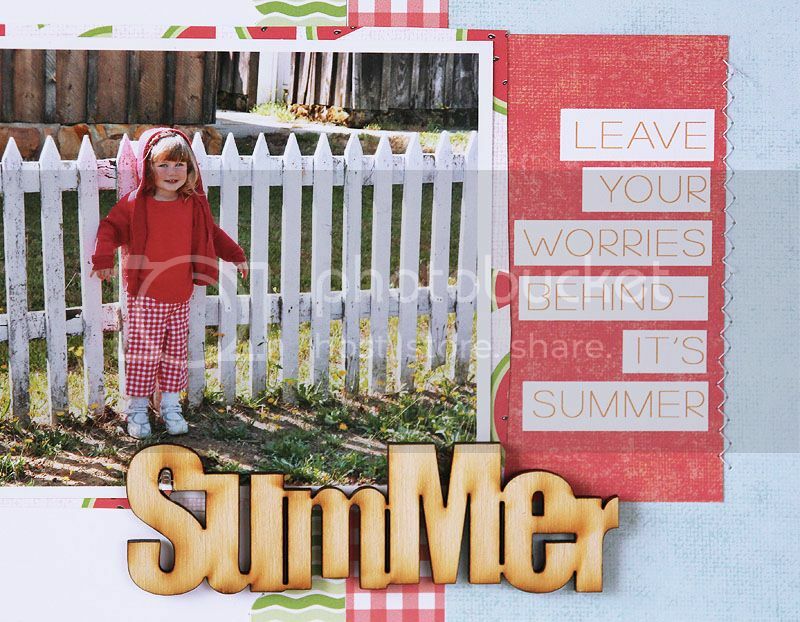 I'm Guest Designing for ADORNit all this week, and today I have a layout to share using the "Summertime Memories" collection. 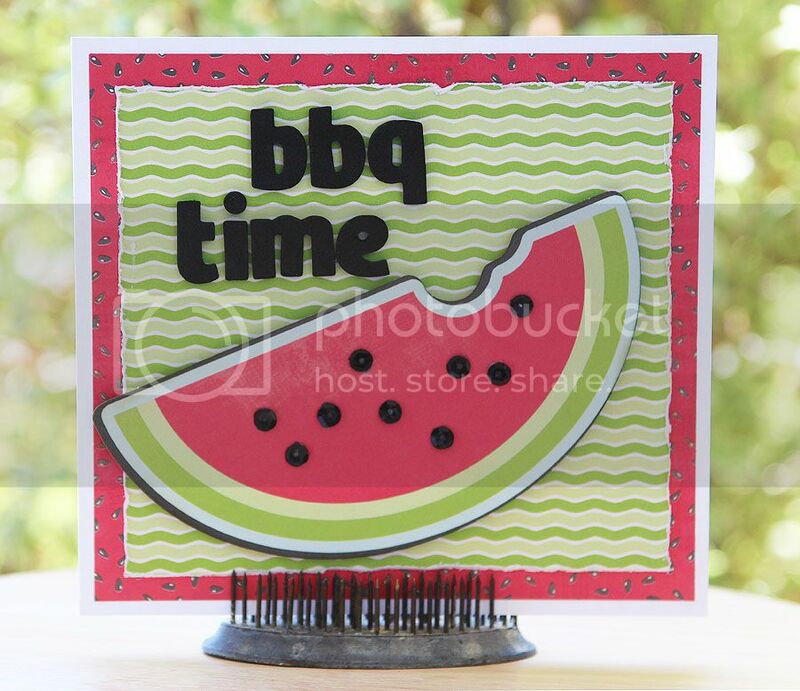 I was really drawn to the cute reds, greens and watermelon prints, and although the photo isn't of my daughter dressed in summer clothes eating watermelon, the papers and stickers worked great with my photo. 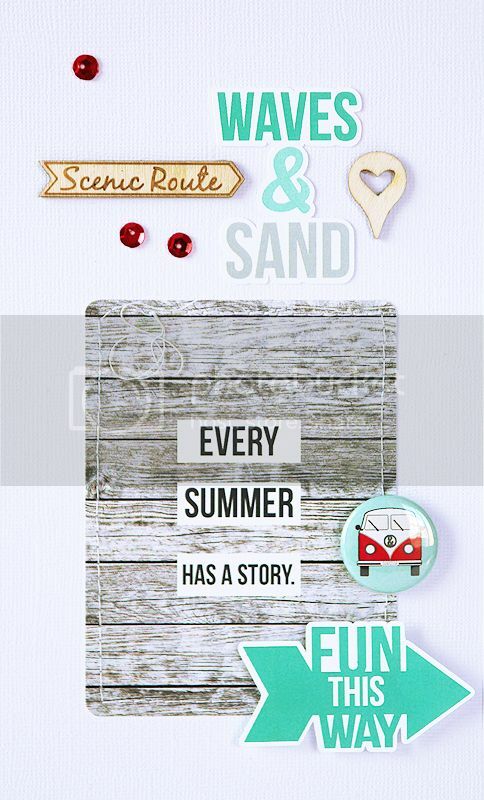 It's a perfect way to remember this day of our summer vacation. The Summer wood shape works great for a title! 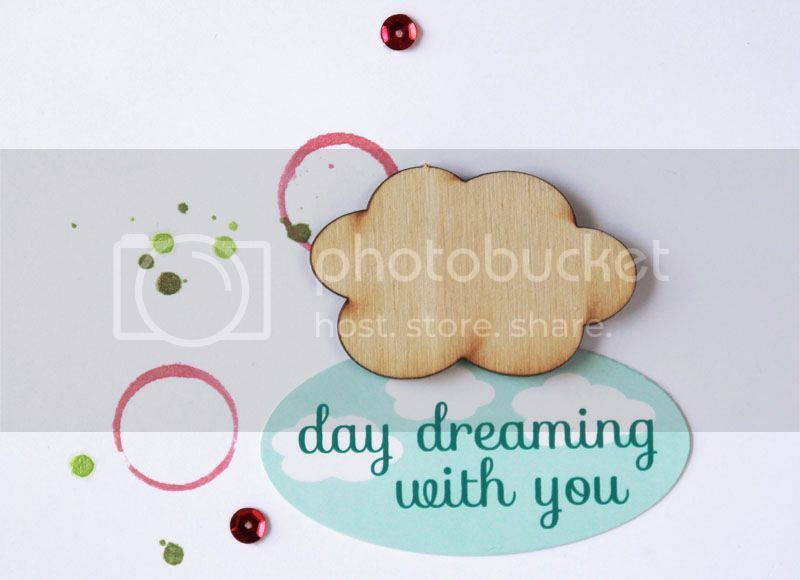 For an extra pop of color, I splattered a bit of mist , then added a few red sequins in with the cloud wood shape and day dreaming sticker. How about winning the Wisteria collection I shared with you on Monday?? Just leave a comment to be entered to win!!! I'm Guest Designing this week for ADORNit and am excited to show you two layouts using their beautiful Wisteria collection. The first one, using an old black and white photo from the 1940’s, and another with a photo from just a few years ago. I love when a paper collection works just as well with old heritage photos as current photos! First up, “Family is Everything”. 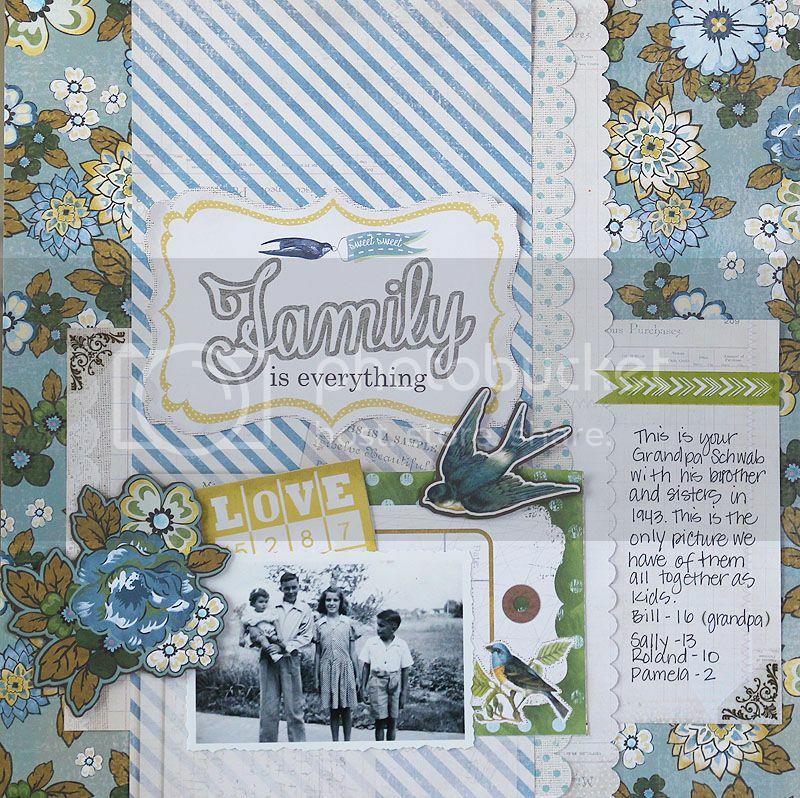 When I started my layout, I actually built the whole layout around the family is everything sentiment that I fussy cut from one of the patterned papers. It was a perfect focal point along with my photo. 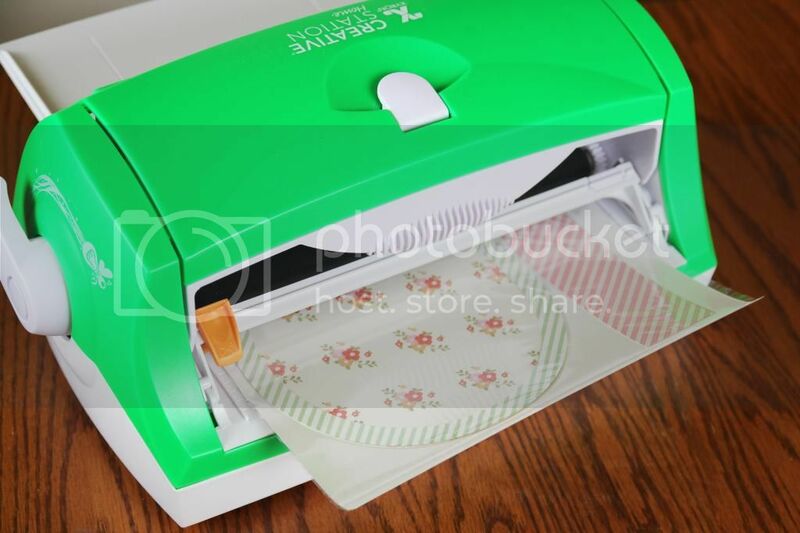 I chose the beautiful floral as my background paper, then started layering bits and pieces of more papers and stickers. I added some foam tape to the flowers and sweet little bird for a bit of dimension. 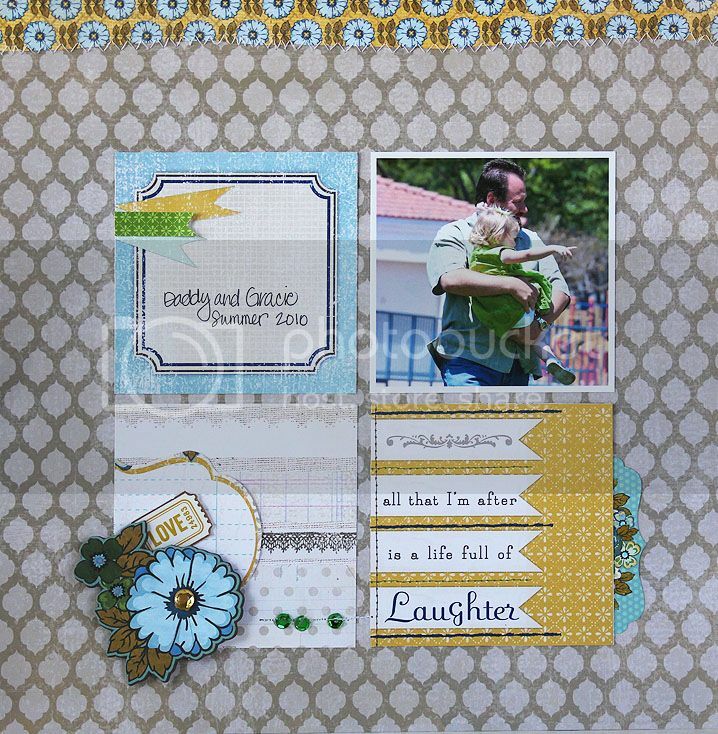 For my next layout, I went with a grid design using pieces cut from the patterned papers along with a more recent photo. 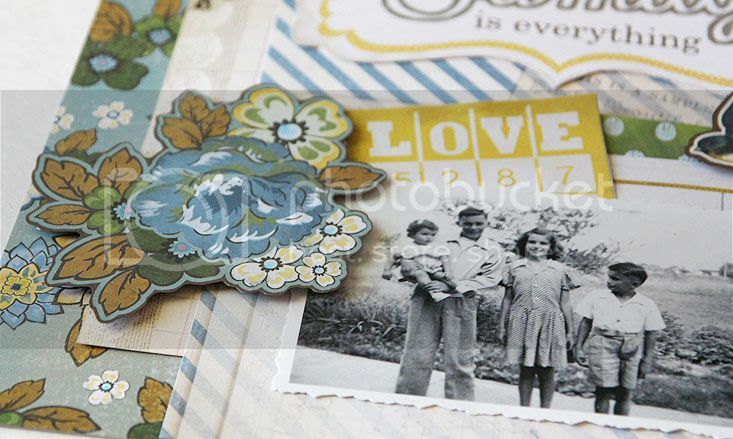 See, the Wisteria collection really does work with new photos just as well as vintage photos! 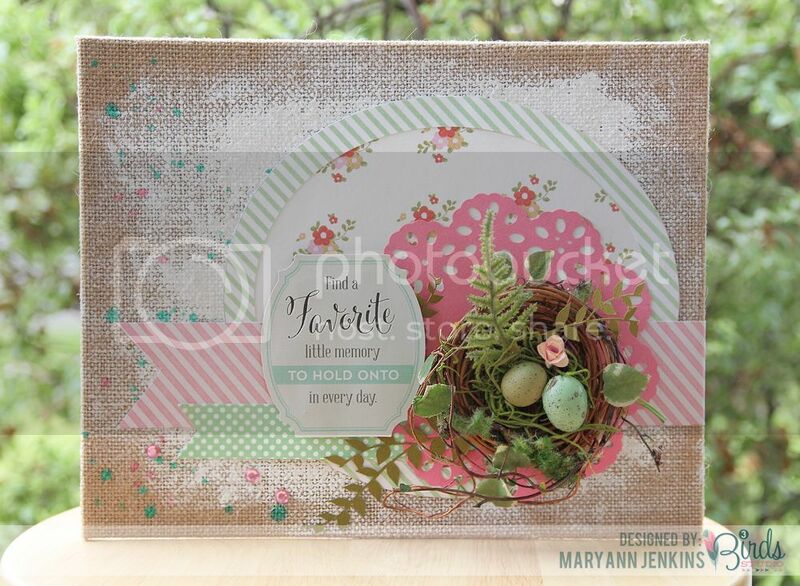 I did a little layering on this layout too by cutting pieces from the patterned papers, and even fussy cut the tiny love ticket sticker to tuck behind the flowers. I used foam tape again under the cute flower die cut, added a rhinestone from my stash, and a few sequins too. Now, how about a chance to win the whole Wisteria collection!!! Just leave a comment to be entered to win!! Thanks for stopping by today, and be sure to stop back by tomorrow, I'll have more to share! 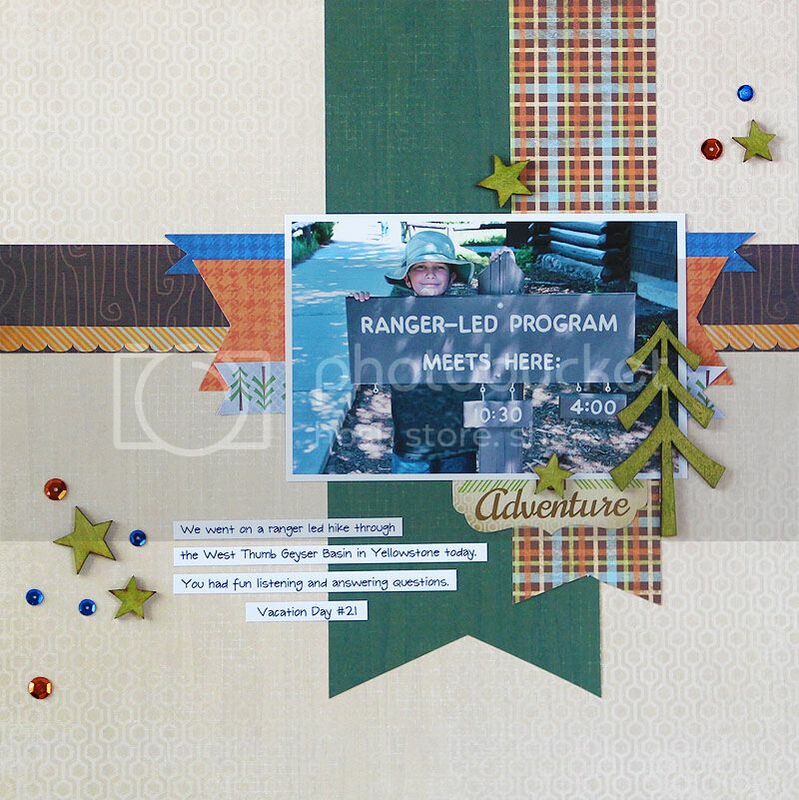 I picked a few elements from the sketch, the 4 squares as 4 photos and the large title to focus on, then added my own twist with the stitched hearts and journaling cards. I even did a little hand stitching on the sun burst card!! 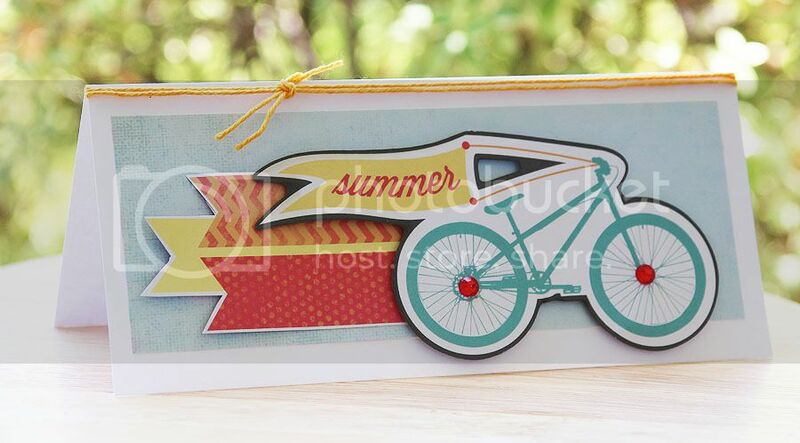 Link up your projects on this post by August 8, 2014 for your chance to win a grab bag of Chic Tags goodies! Hello and welcome to Day 1 of the Chic Tags and Twinery blog hop! Chic Tags and The Twinery have partnered together to showcase their amazing products, and show you how well their products compliment each other. 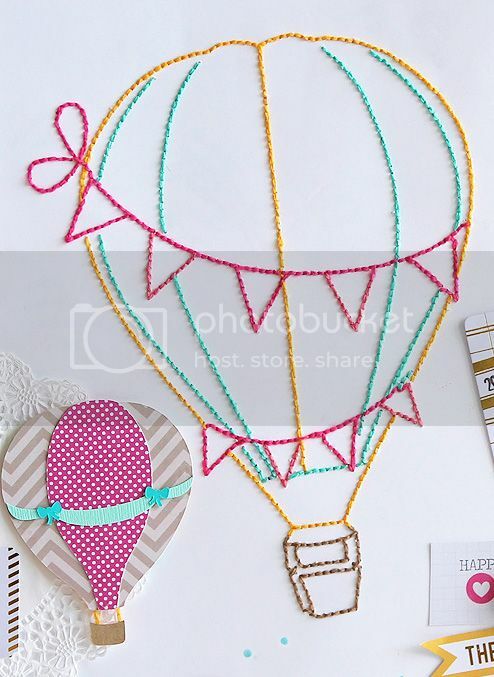 There's also a fun giveaway so make sure you leave a comment on each blog post! You should have arrived here from Rebecca's blog; there are 10 stops in total. 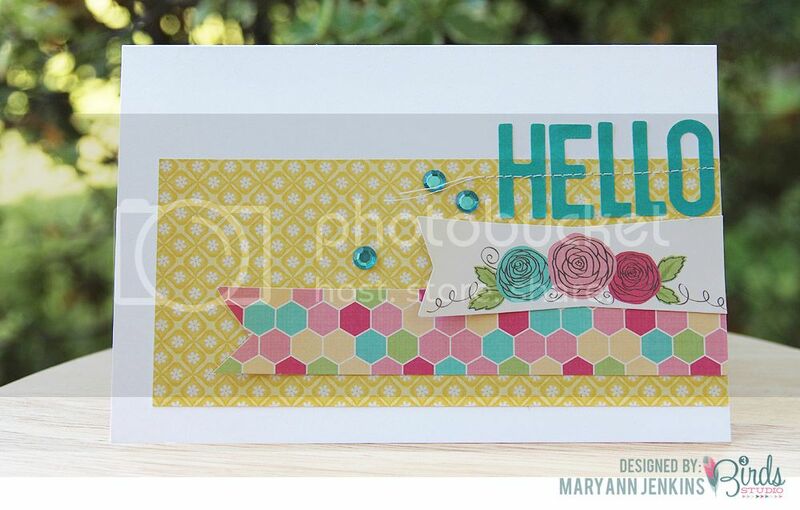 As you stop by each blog, we know you will be in awe of all the beautiful projects. The Chic Tags Creative Team was inspired by the beautiful Twinery Twine they received, and we can't wait to share with you! 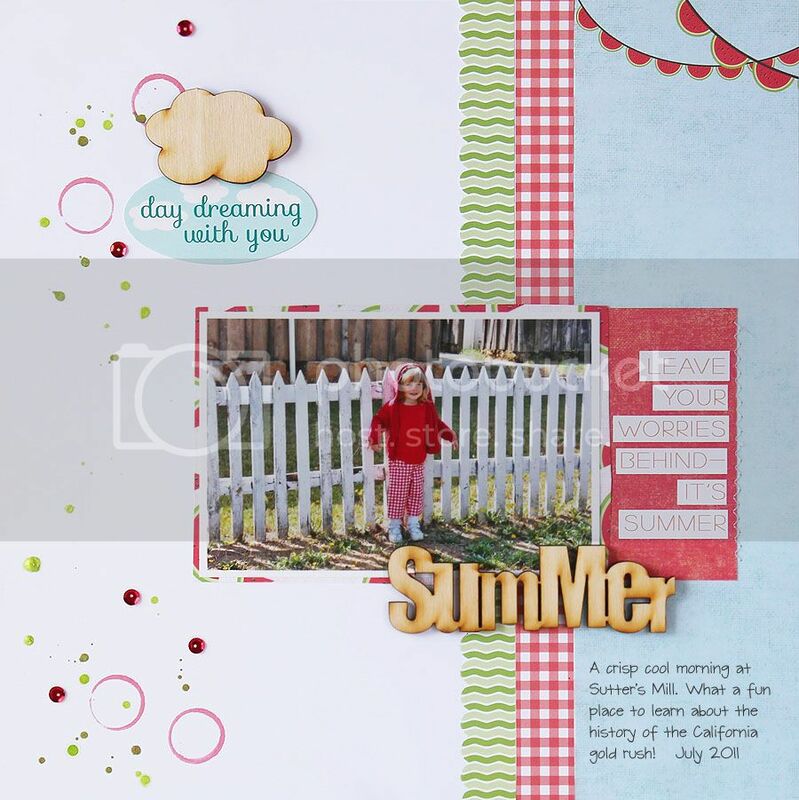 I made my layout using the pretty Cloud 9 collection along with the beautiful Marigold, Caribbean and Strawberry twines to fill in my cut out circles. For the twine circles, I traced the circle on a scrap piece of cardstock, then covered the whole circle with dry adhesive. 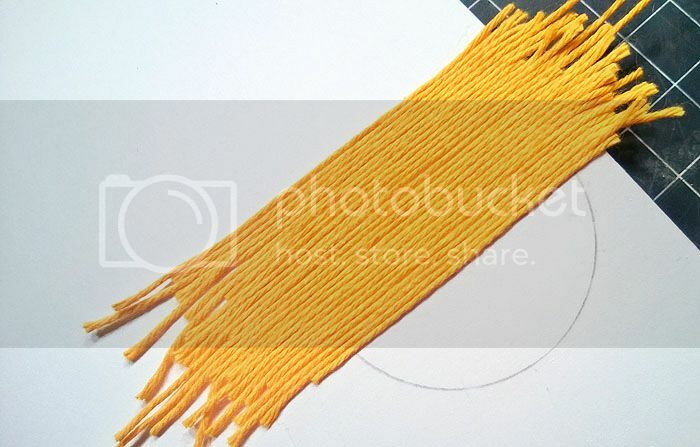 Next, I cut small pieces of twine, then added them piece by piece until the whole circle was covered. After the circle was completely covered with twine, I adhered the twine covered cardstock to the back of my layout so the twine shows through the cut out. 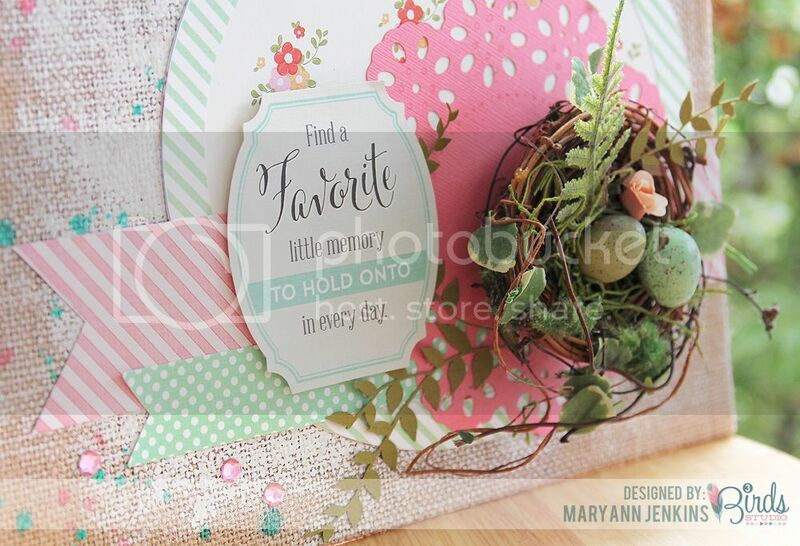 I love the texture the twine adds, and how perfectly it matches with the Cloud 9 collection!!! From here, the next stop on the hop is Stacey's blog. 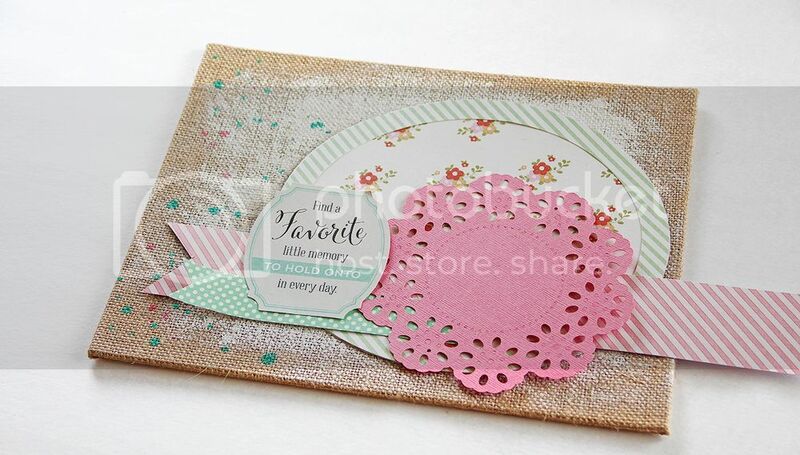 And don't forget, be sure to check out the Chic Tags blog tomorrow for day 2 of the blog hop! 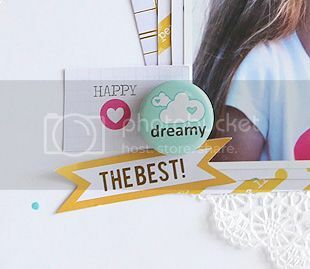 Supplies: paper, tags, wood veneer, flair badges - Chic Tags, twine - The Twinery. 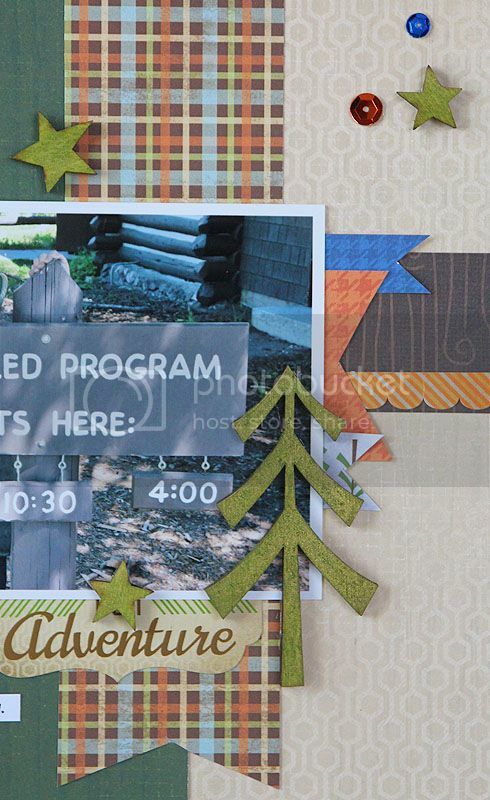 Here's a layout I had up over on the 3 Birds Studio blog. 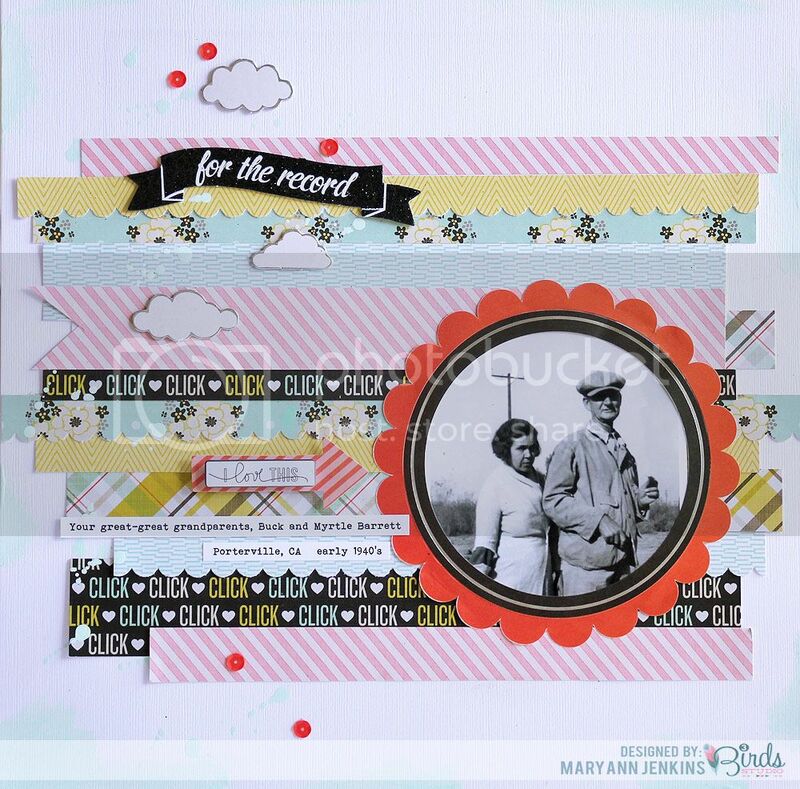 I combined some of my favorite papers from the new Midday Medley collection along with an old black and white photo from the 40's. 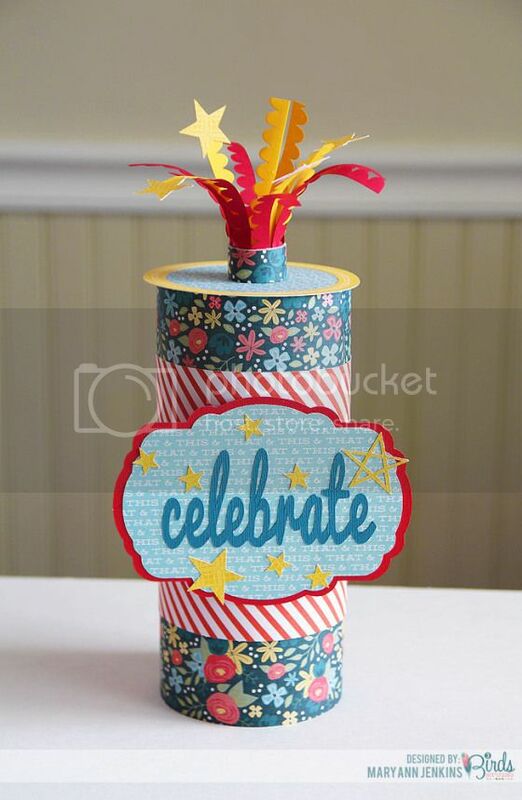 I cut strips from different pieces of the patterned paper, punching a few with a scalloped edge punch and then adhered the strips to the cardstock. To add a bit more color to the white cardstock, I brushed just a bit of paint on the edges, and splattered a little here and there. 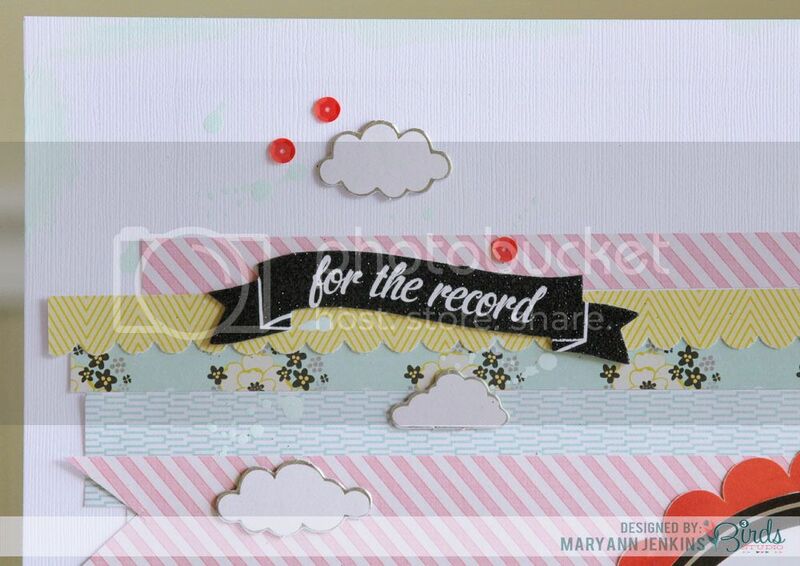 Since this is an old heritage photo, the “for the record” chipboard seemed like the perfect embellishment piece. I added those cute little clouds just for fun, and a few sequins from my stash.